Cei de la Explore Gadgets (canal de YouTube) fac in fiecare luna un clip dedicat celor mai bune jocuri pentru iOS. Stiu ca i-am descoperit tarziu, dar de acum inainte o sa fac tot posibilul sa promovez clipurile lor. Sunt foarte bine realizate. (00:12) Pokemon Go – mai are nevoie de o introducere? (00:53) Desire – a poetic point-and-click adventure game in black and white. (01:34) Never Alone – an atmospheric puzzle platformer developed in collaboration with the Iñupiat, an Alaska Native people, drawn from a traditional story that has been shared across the generations. (02:15) Puzzle fall – Once in every 10 thousand years an unusual meteor shower hits the Earth. It’s called Puzzlefall. Save the falling puzzles by filling them with gems! Deci un fel de Candy Crush, nu? 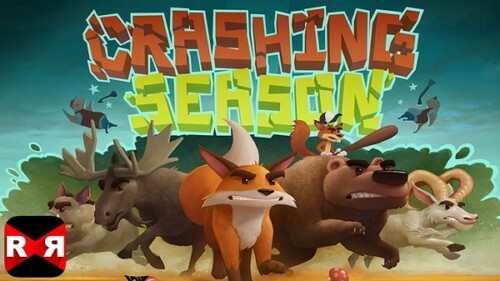 (03:23) Crashing Season – a “best art” award winning action-packed runner game, with a physics based 3D world in which your mission is to survive and beat waves of enemies, fight mean bosses and complete goals! Animals on the rampage! (04:02) Drop Assault – Choose your side in the intense civil war that erupted amongst the Emperor’s Legions of Space Marines in the 31st Millennium. As a Captain of your troops, customize your army and engage in fierce tactical battles.